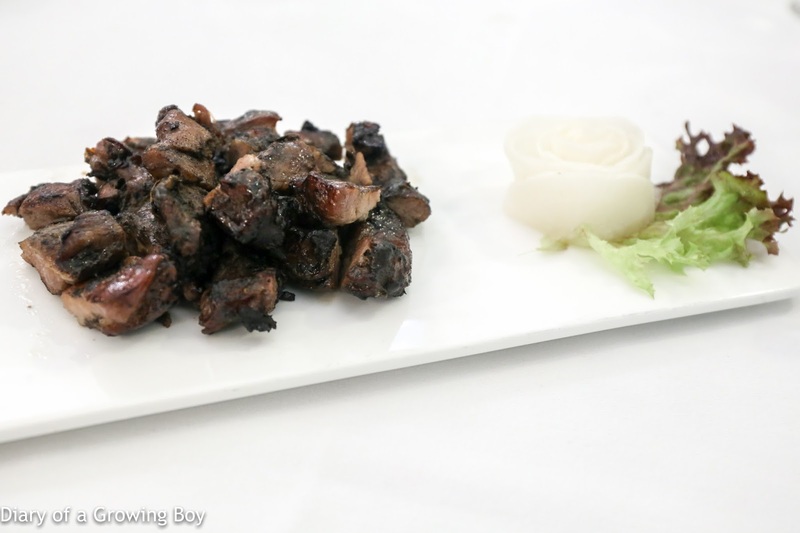 Crispy enoki mushroom (酥炸金針菇) - what's not to love about a pile of deep-fried batter? 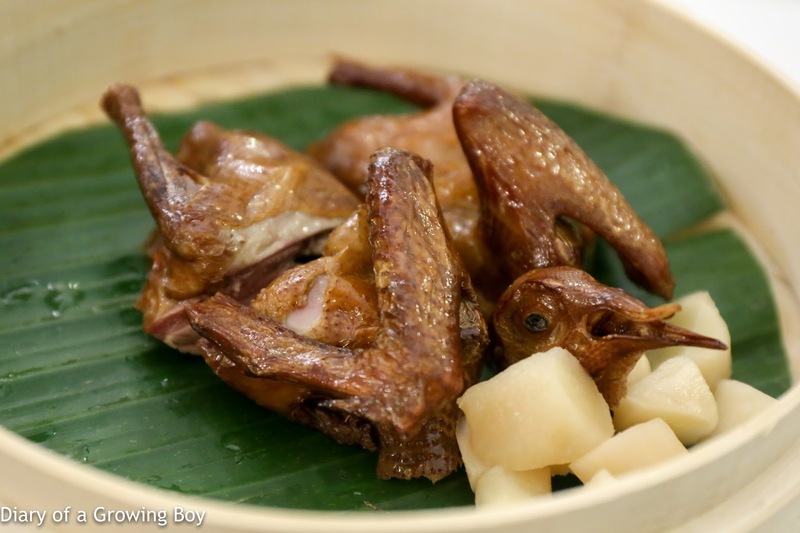 Baby pigeon smoked with osmanthus and Longjing tea (茶燻雛鴿) - very smoky as usual, but honestly... a quarter pigeon for each of us is a little on the light side... The pickled young ginger is great. 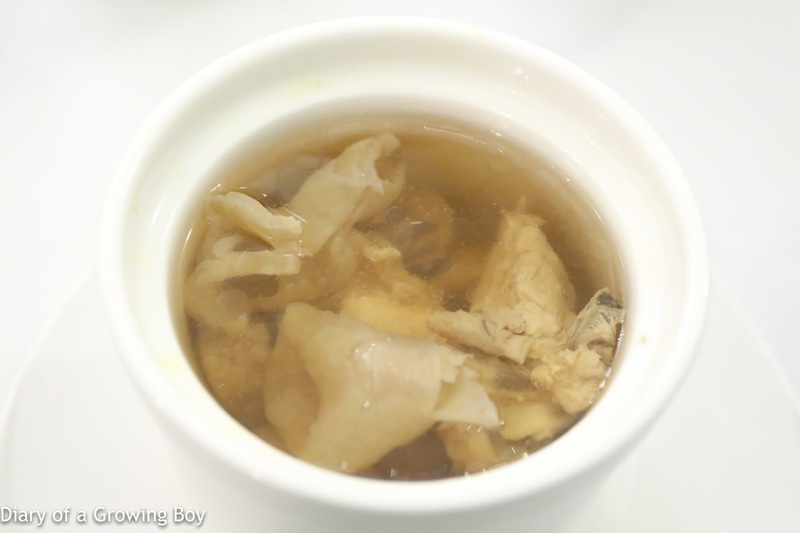 Slow-cooked chicken soup with fish maw and conch (花膠螺頭燉雞) - pretty decent. 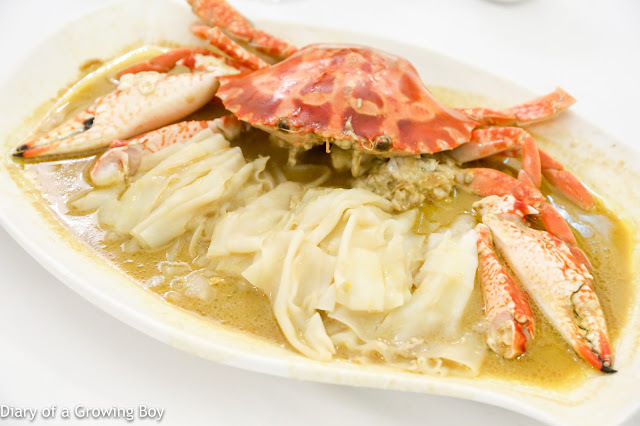 Steamed fresh flowery crab with aged Shaoxing wine served with rice noodle (香醉紅蟳) - this never fails to make people happy, and I got to have all the goodies in the shell in addition to a couple of pieces of the body. 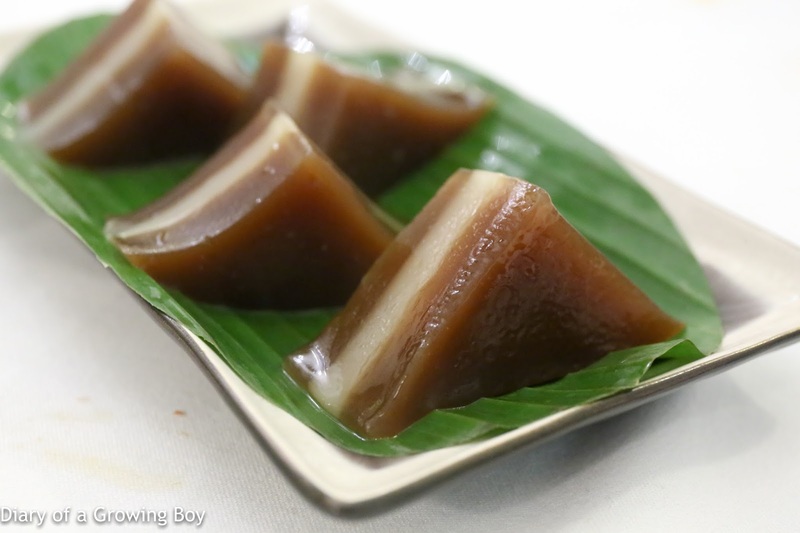 Oh, and of course the rice noodles soaked in sauce was awesome. 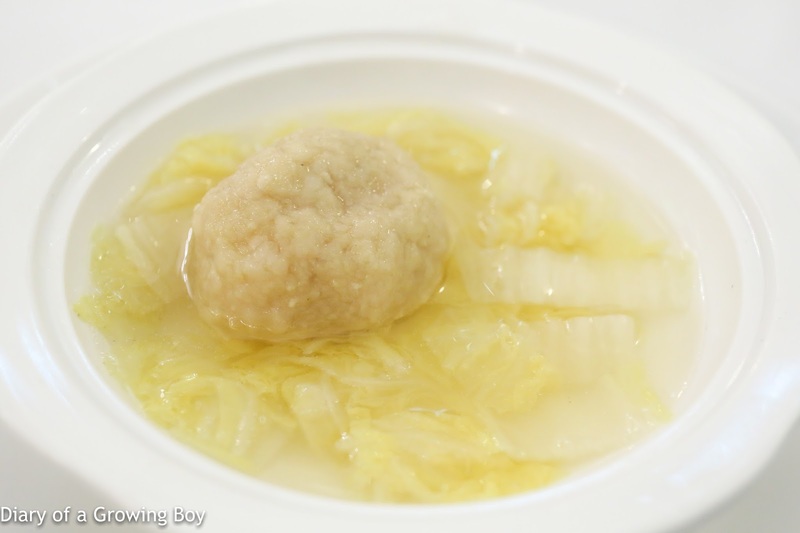 Slow-cooked meat ball in chicken soup (葵花斬肉) - this has to be my second favorite version of meat ball - ranked after mom's, of course... Soooooo tender and delicious. 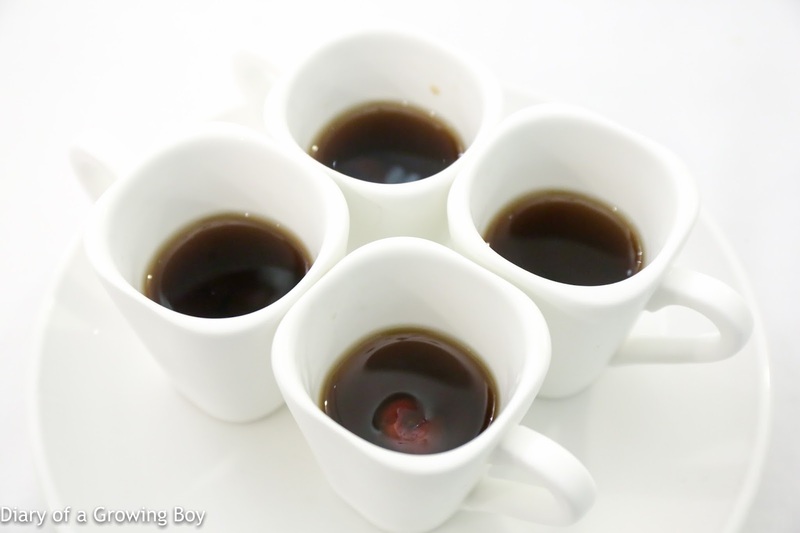 Traditional herbs soy sauce chicken (養生豉油雞) - very nice, with lots of flavors from the soy sauce marinade. And the meat was certainly very tender. 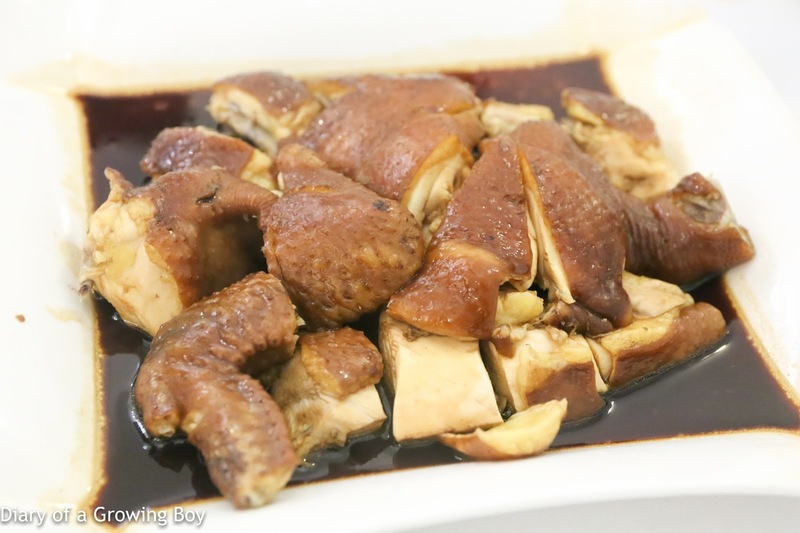 Reminiscent of the same chicken at The Chairman (大班樓). 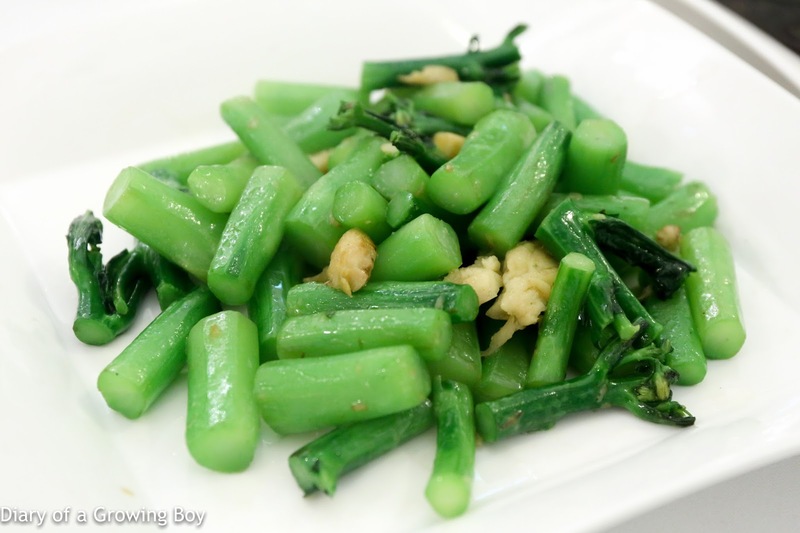 Stir-fried kale with ginger essence (薑汁炒芥蘭) - very good and crunchy. 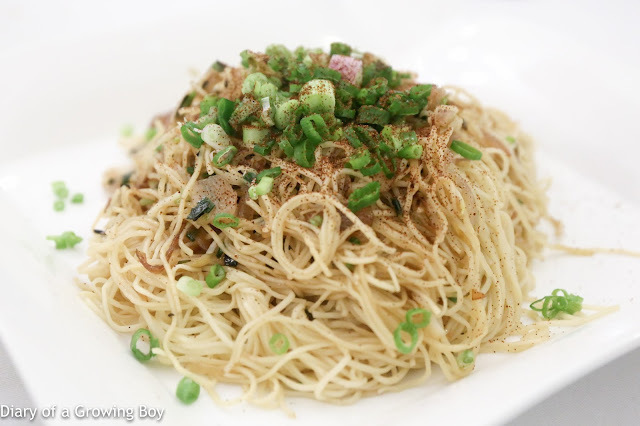 Prawn roe stirred noodle with prawn and shallot essence oil (蝦子蝦油蔥油撈麵) - our visitor was very impressed, but of course I already knew what an amazing dish of noodles this is. For someone who came for the pigeon, he left wondering whether the noodles was actually his favorite dish of the evening. I don't blame him.